The week’s top class action lawsuits and settlements including Michaels craft stores data breach, Memphis TN cemetery and funeral homes, and NuvaRing settlements. Crafty Hackers? Another week—another data breach class action lawsuit. This one targets Michaels Arts and Crafts stores—where maybe there was a bit too much creativity happening, and not on the sales floor. The company is facing a federal data breach class action lawsuit following the release of its statement announcing customers’ personal information may have been stolen. Filed by customer and plaintiff Christina Moyer, the Michaels lawsuit, entitled Moyer v. Michaels Stores Inc., Case No. 1:140cv-00561, in the U.S. District Court for the Northern District of Illinois alleges the Texas-based retailer was negligent in protecting customer information. Specifically, Moyer, who shopped at Michaels recently, alleges she is now paying for credit monitoring and identity theft protection because of the possible compromise, and that Michaels breached an implied contract with her and others by failing to adequately protect their private information. Moyer is seeking a declaratory judgment that Michaels pay for credit monitoring and identity theft insurance, and be ordered to indemnify Moyer and the class for future harm. Do you Know Where your Loved Ones are? This is deeply creepy—in so many ways…. A $100 million consumer fraud class action lawsuit has been filed against Galilee Memorial Gardens cemetery, its owners M.J. Edwards, N.J. Ford, and two well-known Memphis funeral homes, and any other funeral home that contracted business with Galilee Memorial Gardens after December 31, 2010, which is when its business license became invalid. The funeral home lawsuit alleges the defendants lost bodies, disinterred bodies, stacked bodies/caskets on top of one another in single burial plots, crushed caskets to enable stacking more than one individual in a single burial plot, and lost track of remains and buried bodies, among other things. Anyone who buried a body at Galilee Memorial Gardens after December 31, 2010 was doing so in violation of state law. Attorneys for the plaintiffs estimate at least 1,000 bodies were buried there in the past three years. The lawsuit also states that funeral homes that conducted business with Galilee were on active and constructive notice that the individual who held the business license for the cemetery had died months before the license expired. The lawsuit seeks to represent anyone with a loved one buried at Galilee Memorial Gardens in the past three years. Hundreds of NuvaRing lawsuits are about to be settled by Merck & Co. The New Jersey based pharmaceutical company has agreed to pay $100 million to settle the lawsuits, and end allegations it downplayed serious health risks associated with the contraceptive device. The NuvaRing agreement will settle cases in both federal and state courts, with plaintiffs expected to receive about $58,000 per complaint. Ok Folks, That’s all for this week. Happy Valentine’s Day! See you at the bar! The class action lawsuit and settlement wrap for the week ending September 28, 2012. Top stories include Maybelline, Coppertone and Sallie Mae. A Sticky Situation? (ok— that’s bad—I know). Maybelline is the latest company to face a consumer fraud class action lawsuit. This one alleges the company’s “Super Stay” lipstick and lip gloss don’t last as long as promised. The Maybelline lawsuit accuses L’Oreal SA, the parent company of Maybelline, of falsely advertising the staying power of both products, which sell for about $9 each. The women claim that while the products are advertised as having “super staying power” that “won’t fade,” that’s not been their experience with the products. 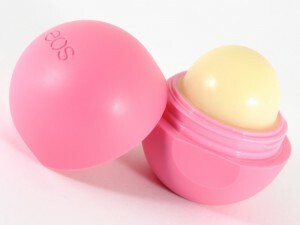 According to the lawsuit, “the Super Stay products do not remain on the wearer’s lips for the extended periods as advertised” and “wear off and fade after only a few hours of wear.” One of the Plaintiffs claims the so-called long-lasting lipstick wears off as soon as she eats a meal or has a drink. So, we’ll see if this lawsuit has staying power… as the class has yet to be certified. The Proof wasn’t in the Lotion? Merck’s in the news again this week, this time with a settlement of a consumer fraud class action lawsuit over advertising claims made by its Coppertone franchise. The preliminary Coppertone settlement involves Merck ponying up between $3 million and $10 million in damages to the class. The lawsuit, which was filed in 2003, alleges Merck made false claims about the benefits of its Coppertone sunscreen products. To be fair, Merck inherited the lawsuit in 2009 when it bought Schering-Plough Corp, which owned the popular Coppertone franchise. As part of the settlement, Merck has agreed that all Coppertone sunscreen products manufactured on or after June 22, 2012 for sale in the United States, its territories and possessions, will not use the terms “sunblock,” “waterproof,” “sweatproof,” “all day” and/or “all day protection” in the label, advertising, marketing or promotion of the products. When the settlement receives final approval, class members who purchased the Coppertone products at issue will be able to submit a claim worth up to $1.50 for each eligible sunscreen product purchased. Well, that ought to help! Student Loan Relief? Finally, this week, a class action lawsuit settlement has been agreed between student loan borrowers and a subsidiary of SLM Corp. The lawsuit (Mark A. Arthur, et al. v. Sallie Mae Inc., No. 10-0198, W.D. Wash.), claimed the subsidiary violated the Telephone Consumer Protection Act (TCPA) by making a number of non-emergency autodialed calls and/or automated text messages to the borrowers’ cellular telephones in an attempt to collect on outstanding student loan debt. Nice! The Sallie Mae settlement terms, which must first receive final approval, include Sallie Mae paying out $24.15 million to the borrowers that received the autodialed calls or automated text messages to their cellular phones by Sallie Mae Inc.
And on that note—I’m going to the bar. Have a great weekend!